As the largest full-service family restaurant chain in the United States, Denny's knows a thing or two about delivering value directly to the customers. As an allied partner Restaurant Technologies delivers the same commitment and dedication to you. 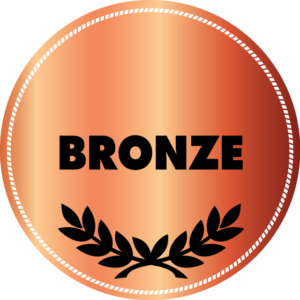 With results driven Total Oil Management solutions we help your mission to increase efficiency, reduce waste, engage and foster member driven expectations. 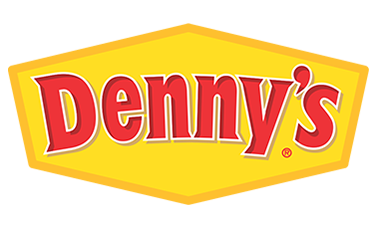 While providing a safer, smarter kitchen for your staff while they embark in their pursuit of excellence within the Denny's organization. 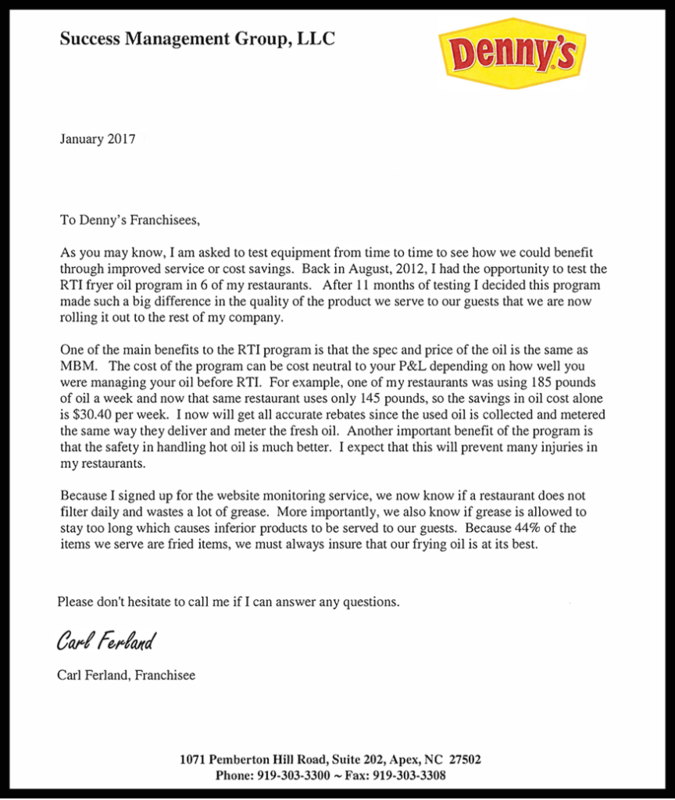 Together we can make "The Denny's Difference." 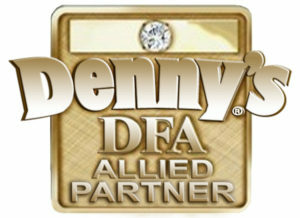 Food quality is key to delivering the Denny's Difference and great fried food is a key part of any craveable menu. 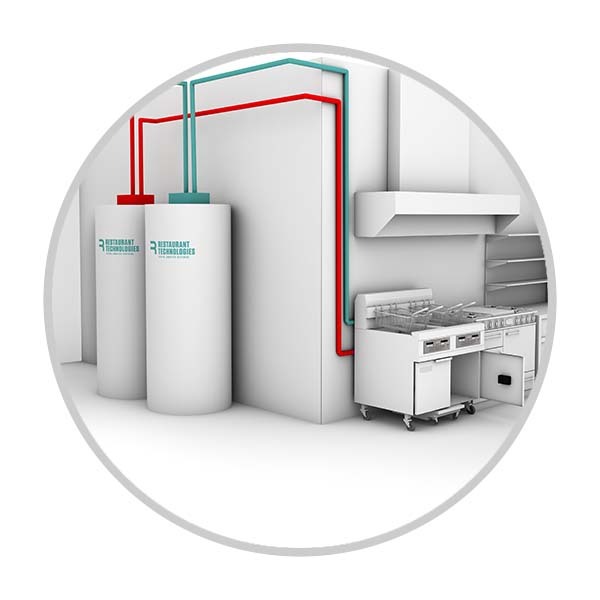 Restaurant Technologies Total Oil Management systems with Fryer Filtration Monitoring ensure that your kitchen staff are actually doing what you ask them to do, even when you are not there to supervise them. As a result more food is cooked in oil that is in the “sweet spot” for frying resulting in crisp, golden and delicious chicken, fish, appetizers and, of course, french fries. At the same time more and more pressure on labor costs, reducing complexity in the back of house is critical to supporting a great guest experience and an efficient operation. Over 60% of a restaurant’s labor costs are in the back of house. Restaurant Technologies takes away the least popular job in the kitchen to reduce risk and safety costs, labor costs and waste collection costs. We handle the entire process — from ordering to receipt and storage to handling and recycling of used oil. It's automatic, easy, intuitive and ready when you need it. Restaurant Technologies' no capex, no installation fee program makes flipping the switch to a safer, smarter kitchen and great employee and guest experience easy. Have questions? We've got answers. Click here for common Frequently Asked Questions. The simple and easy way to order, receive, store, handle and recycle cooking oil. Fresh oil is delivered and used cooking oil is picked up at the same time. We even automate the process so it is easy, intuitive, and ready when you need it. Reduce your kitchen’s environmental footprint and decrease costs. Whether you replace all your equipment with ENERGY STAR® qualified appliances tomorrow or start by actively recycling waste today, any effort you make to reduce your back-of-house environmental impact makes a difference. Understanding the impact these injuries could have on your business and knowing how to prevent them can help make your restaurant a safer place for your employees to come to work. After only three or four months, we knew the Restaurant Technologies system was the way to go, and we began rolling it out to all of our Burger Kings. The results were remarkable. It’s just a done deal,” he said. “When I open a new Bar Louie, the Restaurant Technologies oil management system will always be part of the planning. It’s that simple. Minimizing the space required for storage and reducing the amount of time spent manually filling, filtering and disposing of frying oil tremendously helps our operation be more efficient. The proof was in the data – the statistics from TOM made us create good habits. And now that we’ve created them, the entirety of managing frying oil – from buying and storing to filtering and cleaning – is very easy to manage. It was a very robust process that worked. Restaurant Technologies sent a service team member and installer to each restaurant to put systems in place and train managers and staff. They stayed as long as necessary and they trained both day and night shifts. At Restaurant Technologies we make kitchens safer and smarter. Our unique solutions take out hassle, risk, mess and cost from some of the most demanding applications in the back of the house and let our customers focus on what they do best - provide great tasting, crave-able food. Gain access to industry news and valuable tips.